The Biology Graduate Program is pleased to continue general support for student travel. 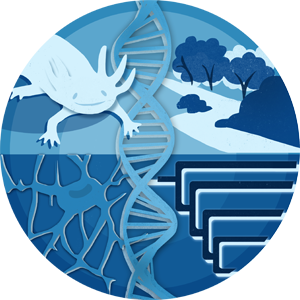 Biology graduate students (Plan A MS and PhD) can apply to the Biology Graduate Program for funds to help cover the costs of travel to present their research at conferences. Presenting your work has a number of benefits for both you and for Biology. Thus our funding policy will seek to maximize those benefits by emphasizing support for well-attended national and international meetings. We will not normally support travel to a local or regional meeting. We have adopted the following funding formula for all acceptable travel awards, First, students are eligible for ONE travel award per budget year (July 1-June 30). As of now for this upcoming year, short courses and meetings will need to be funded out of the same pool, so each student can pick one or the other. We will adjust this if we get additional resources. The following formula for funds applies after we have confirmed that your budget saves costs as much as possible. We will cover all costs up to $600 and then 30% of the remaining balance. To apply, students must show evidence, such as acceptance of an abstract, that they will be presenting a talk or poster at the conference. First-year students may request funds for especially useful meetings (e.g., with a workshop in their potential area of research) even if they are not presenting. Students should prepare a full budget (see below for allowable costs), and list other potential sources of funding. Ideally, BGP funds will make up part of a package of funds from other sources, including personal funds, funds provided by the student’s mentor, and any travel awards from the meeting organizers. This is a Three Step Process! 1. submit Travel Support Request to Dr. Westneat to request travel support from Department. 2. create a travel ticket through the A&S Business Website. 3. submit receipts for reimbursements. Students MUST submit a travel support request before any travel occurs and any significant expenses other than registration are incurred. student completes a Travel Request Form on the A&S Business Center website by logging in with students linkblue ID (a triage ticket is created - please request them to tag Jacqueline Burke on the ticket). Be sure to submit this travel ticket BEFORE YOU TRAVEL. Student will be responsible for maintaining correct documentation to receive reimbursement at the return of travel. Be sure to keep receipts for your expenses. Receipts must be originals. Food receipts must be itemized; no alcohol will be reimbursed. Receipts for airfare, registration and hotel must show the payment method (e.i. that your card has been charged). You may be reimbursed for public transportation (to/from hotel, airport, and conference site), taxis, parking, and baggage fees, etc. Meals: Students must retain original itemized receipts (showing food & drink-no alcohol or miscellaneous items showing on receipts). Registration Fee Only - Return receipt showing total amount, method of payment and zero balance. Lodging: Return with a receipt showing a zero balance and method of payment. ONLY room and tax. Shared lodging will be reimbursed at a pro-rated share of the room charge. Notify the hotel at check-in that each will require a receipt with the individual’s name on it. Rental Car: Return receipt with total and method of payment (additional insurance is not covered). Save itemized gas receipts. Personal Car: Save gasoline receipts. All students are required to register with the UK International Center before departure, pursuant to AR 4:9. It is especially important that students register planned trips to countries or regions under Level 3 or 4 Department of State Advisories as soon as possible. The AR prohibits student travel to such destination countries without the completion of a required review process and the approval of the Associate Provost for Internationalization and dean of the college. As soon as you return from travel please update the Travel Ticket you created. Promptly submit any receipt for which you are seeking reimbursement to A&S Business Center 361 Jacobs Science Bldg. For your convenience, please use this Travel Reimbursement Form to attach to your receipt submission. Travel Return Forms must be submitted within 30 days from the return date of travel to allow for proper processing.